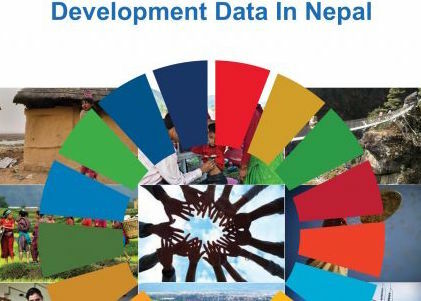 To help improve fiscal transparency in Nepal, the D4D Program supported LSP Associates to develop an Open Taxation Data Portal that collates and disseminates data on government tax revenues. 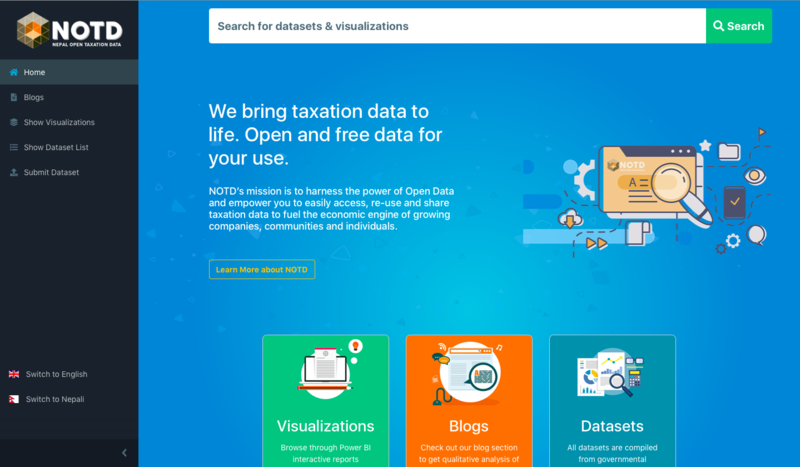 Open taxation data has huge potential importance for improved transparency, accountability and economic efficiency. For example, open taxation data can enable the analysis of past trends and future predictions that can help reduce tax evasion, support the implementation of taxation policies, and increase taxation planning. Until recently however, taxation data in Nepal was scattered across different departments under various ministries. The taxation data that is publicly shared was generally available only in formats which hinder reuse and further analysis. As an awardee of the Open Data Innovation Fund, LSP Associates was supported by the D4D Program to compile existing taxation datasets from across government agencies and share them in a publicly accessible data portal – the Nepal Open Taxation Data Portal. 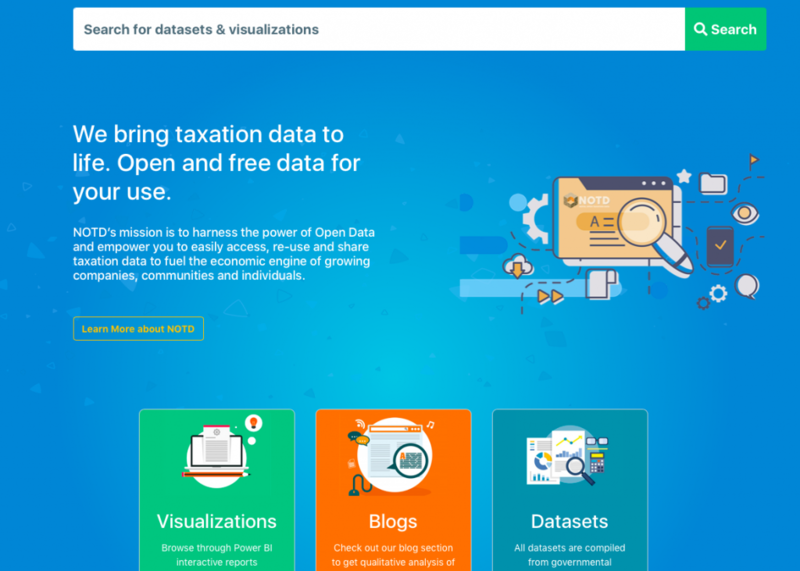 Via this process LSP Associates have categorized the taxation data to make it more usable, visualized it to support analysis, and made the data available via bulk download to support further research. 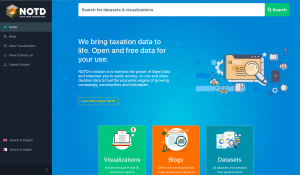 The portal currently contains 2500 datasets across various categories of taxation in Nepal, including income tax, corporate tax, agricultural duties, value added tax, excise tax, and many others. The portal also contains blogs that shares experts’ evidence based opinions and analysis on taxation related issues in Nepal. 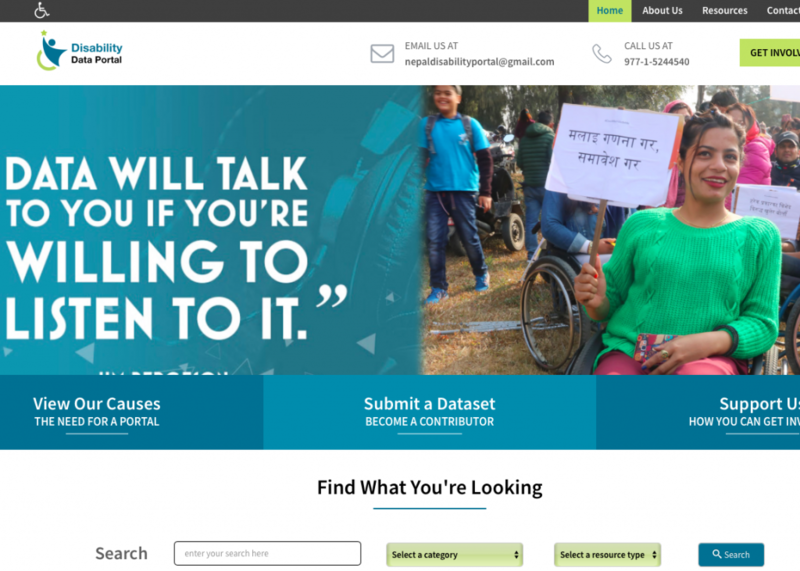 The Portal has been designed in a way that allows it to be easily adapted in future to Nepal’s few federal structure and to meet new data-user needs. 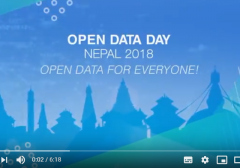 It is hoped that the Nepal Open Taxation Data Portal will encourage greater taxation transparency from the government and act as a focal point for the development of a community interested in taxation data. LSP Associates continue to develop and populate the portal with content while promoting it to target user-groups.